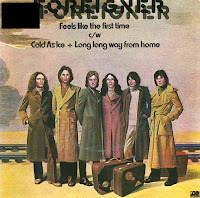 'Feels like the first time' was, appropriately enough, Foreigner's debut single, released in 1977. The song was written by Mick Jones. The single reached number 4 in the US Billboard Hot 100 chart and number 39 in the UK singles chart. 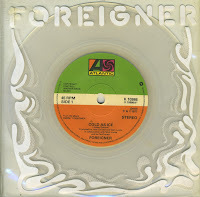 This single was made in 1978, incorporating Foreigner's next hit single 'Cold as ice' as one of two tracks on the B-side. 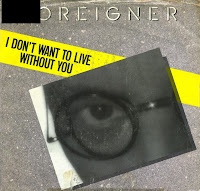 Recorded as a track on Foreigner's 1987 album 'Inside information', 'I don't want to live without you' was released as the second single from that album. The single became the band's sixteenth and - to this day - final entry in the Billboard top 40, peaking at number 5 in the US Billboard Hot 100 chart. The single did not chart in the UK, but reached number 19 in the Dutch Top 40. 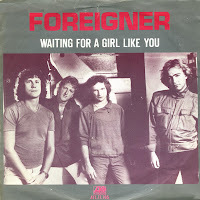 Foreigner used the then-unknown Thomas Dolby to perform synthesizer on their track 'Waiting for a girl like you'. It was one of the factors in making this a big hit. 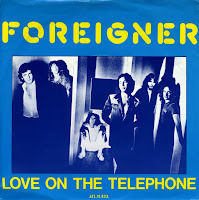 Written by Lou Gramm and Mick Jones, it was the second single from Foreigner's album '4' (1981). The single reached number 8 in the UK singles chart and number 16 in the Dutch Top 40. It also achieved an odd chart distinction by spending a record-setting 10 weeks at number 2 in the US Billboard Hot 100 chart, without ever reaching the top. It was held off the top spot by Olivia Newton-John's single 'Physical' for the first nine of those weeks, and by Hall & Oates' 'I can't go for that (No can do)' for the remaining week. 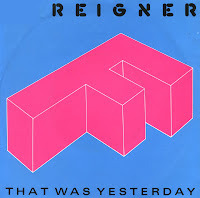 'That was yesterday' was the second single from Foreigner's album 'Agent provocateur'. The song was written by Lou Gramm and Mick Jones and was remixed for the single release. The single reached number 12 in the US Billboard Hot 100 chart, number 28 in the UK singles chart and the Dutch Top 40. 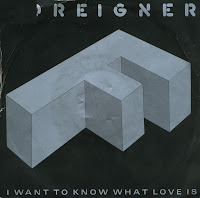 Foreigner had a worldwide number 1 hit with 'I want to know what love is', a powerballad written by Mick Jones, with some degree of uncredited contribution by Lou Gramm. It was the first single from their 1984 album 'Agent provocateur'. The single features backing vocals from the New Jersey Mass Choir, which soon after Foreigner's single topped the charts, released its own, similar-sounding version of the song. 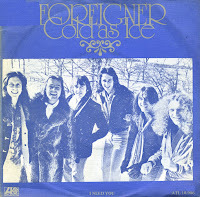 'Cold as ice' was taken from Foreigner's self-titled debut album. When it was released as a single, it quickly became one of the band's best known songs after it peaked at number 6 in the US Billboard Hot 100 chart, number 24 in the UK singles chart and number 13 in the Dutch Top 40. I actually own two copies of the single. I bought the first one in 1992, which was made in Holland and widely available in Europe at the time of its release. The other single popped up in 1995, pressed on clear vinyl and housed in a see-through sleeve. This is a limited edition version from the UK, also released in 1977. A real rarity! 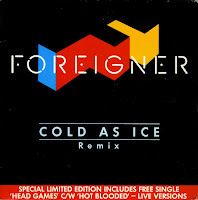 After Foreigner had a lot of success in 1984 and 1985 with their album 'Agent Provocateur' and the singles 'I want to know what love is' and 'That was yesterday', record company Atlantic released a remixed version of their earlier song 'Cold as ice' in the UK. It seemed like a great move: the original version had become a classic and a remix would probably do just as well almost a decade after the song's original release. There was even a double single release, with a second disc including two live tracks. Unfortunately, the single only reached number 64 in the UK singles chart and disappeared after only two weeks. I still thought it was a nice item, so I snapped it up when I saw the discounted item. For the last few years, I have wanted to buy a complete compilation album by Foreigner. And by complete, I mean that it should contain all their hit singles. One of those hits - at least, in the Netherlands - was 'Love on the telephone'. It reached number 34 in the Dutch Top 40 in March 1980. Yet it's absent from every Foreigner compilation I have seen so far.